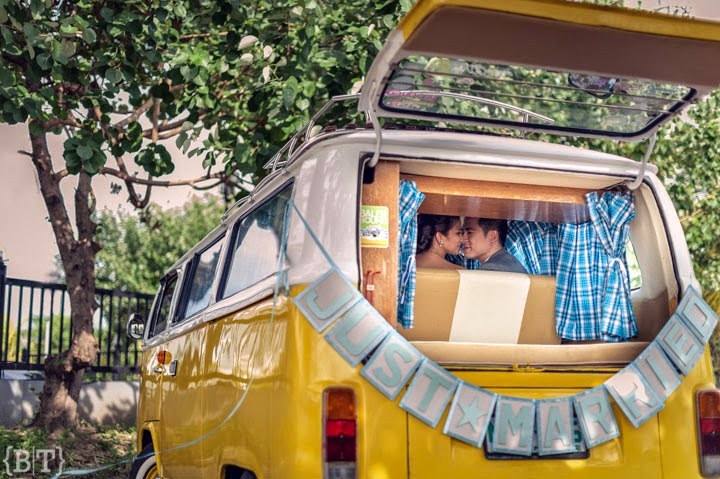 When it comes to arranging the transport for your rebellious wedding, a lot of couples often put it at the bottom of their list of priorities. It’s easy to see why. After all, there is so much else to plan with the service, theme, reception and food that something always has to take a back seat. It’s only on the actual wedding day that you will realize exactly how vital transporting your guests is, and if you want to avoid any significant dramas, you’ll need to execute your plans to perfection. Here are some of the biggest wedding transport woes you might experience - and how to avoid them. Not handing over the reins to the pros. Successful wedding transport is all about timing and logistics. There is a surprising amount to work out, from parking issues through to coordinating different vehicles to and from the venues, all the while ensuring your entourage is traveling together as much as possible. Most couples like to take some photos of the wedding cars, too, so you’ll need to allow for time, and establish a dialogue between the driver and photographer. Unless you are a stickler for the tiniest of details, it’s almost always best to allow an experienced professional to arrange and plan your transport. Wedding transport isn’t just a way to get you from Venue A to Venue B. It’s also a way of providing people with a way of continuing the celebration. So, when you are planning your Party Bus Rental or alternative wedding transport ideas, always remember the number of guests that will be using it and provide enough seats to keep them all together as much as possible. Not only will it keep the party atmosphere going, but you’ll also find it solves a lot of the common problems that occur on the journeys between ceremony and reception, such as people getting lost, forgotten, or not being able to find a spare space in the car lot. In an ideal world, your car journeys will bring you to your location in perfect time, but as everyone knows life - and the roads - just don’t play out like that. There will be delays at every stage of the journey, whether it’s bad traffic or people dawdling and getting lost. It’s vital that you allow for some extra padding so that you give everyone in a vehicle the time they need to get from A to B. Ultimately, no one will mind if they arrive early on your wedding day. So, add on an extra 20-30 minutes - at a minimum - to ensure traffic, weather conditions or any other potential problem can be prevented. Not making a travel sheet. Another thing to remember for your big day is that nobody can read your mind. Even if you lay on transport for everyone, there will be guests that want to arrange transport for themselves, and it’s essential that you give them every detail they need to get them to the right locations at the right times. Call sheets are another good idea - just list the names and pick-up | drop-off points along with detailed instructions for any guests that are driving, or drivers that you’re hiring. Don’t underestimate the planning side of your wedding transport, because a couple of mistakes or wrong turns could ruin your big day. Feel free to leave any more suggestions in the comments section below!